David Letterman used to do a line repeatedly in which he'd say, "does this look infected to you?" While looking at these cakes, I'm thinking they look a little infected to me, or possibly "infested". Those little black things are beans, not bugs or spots of mold. 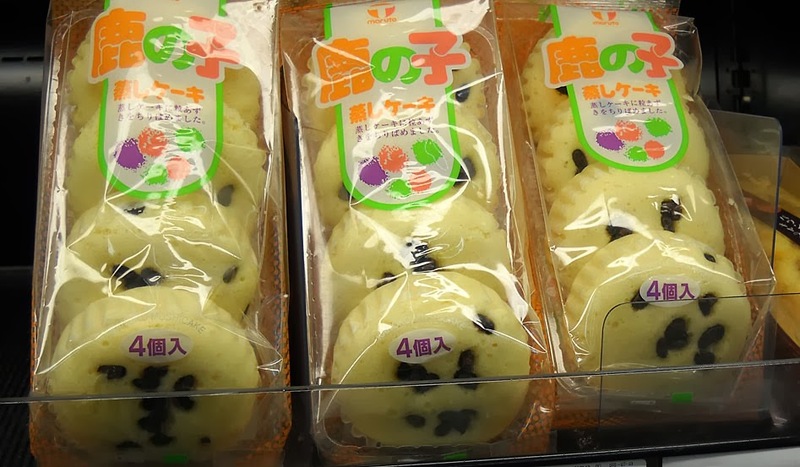 The cakes are "mushi" or steam cakes. They're actually a sponge cake that isn't especially sweet, but tend to be fairly fatty. They're usually quite fluffy and, though the texture is light, some of them are rather weighty. In fact, as I've mentioned in other posts, misunderstanding how caloric these babies can be helped add some weight to me in my early years in Japan. These are quite popular and I think they are one of the older sweets. My guess is they were borrowed cuisine from China. I've mentioned before that Japan got its baking culture largely from Europe. These steam cakes are not made in an oven, but usually on the stove top. That would explain their long history and the nostalgic popularity of them. If you'd like to try your hand at making your own (sans bizarre-looking beans), there's a recipe here.